Altered Instinct: Ant-Man: A little non spoilery review of a great movie. 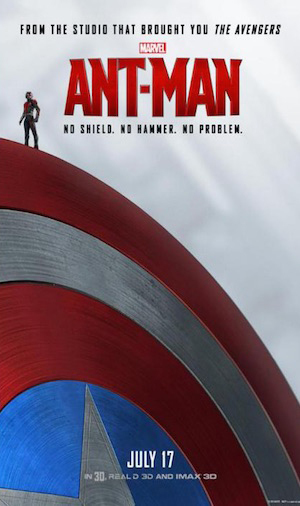 Ant-Man: A little non spoilery review of a great movie. Hi, everybody!!! *Audience replies* Hi. Dr. Rick. I have been itching to write this review since I saw the movie, but I will be doing it spoiler-free for the sake of Stephen (Editor's note: Thanks, Ricardo!) who, up until last night, hadn't seen it. And according to the title, I would go out of a limb and say that Ant-man is probably the third best movie of the vaunted Phase 2 of the MCU (No.1 being The Winter Soldier and No.2 Guardians of the Galaxy). And I praise it so highly, despite my initial reservations, because, like the other two, it breaks the mold of the classic MCU story and manages to be the best origin movie since the original Iron Man, while also being a passing-the-torch legacy story (a new approach for Marvel), a very entertaining and well-thought heist movie and above all, the most relatable film of the MCU. All of that thanks to Paul Rudd. Most of the MCU characters are lager than life: Cap is a living legend that lives up to the legend, Hulk is always eye candy, Black Widow and to a lesser extent Hawkeye are super-efficient, inhuman killing machines, Thor is a god and Tony... well, Tony is Tony, he acts as if he truly is larger than life. Even characters like Falcon, War Machine, Nick Fury act like this well-oiled components of a massive superheroic army, while Vision and Scarlett Witch are more on the side of the gods than the humans. Not Scott Lang. 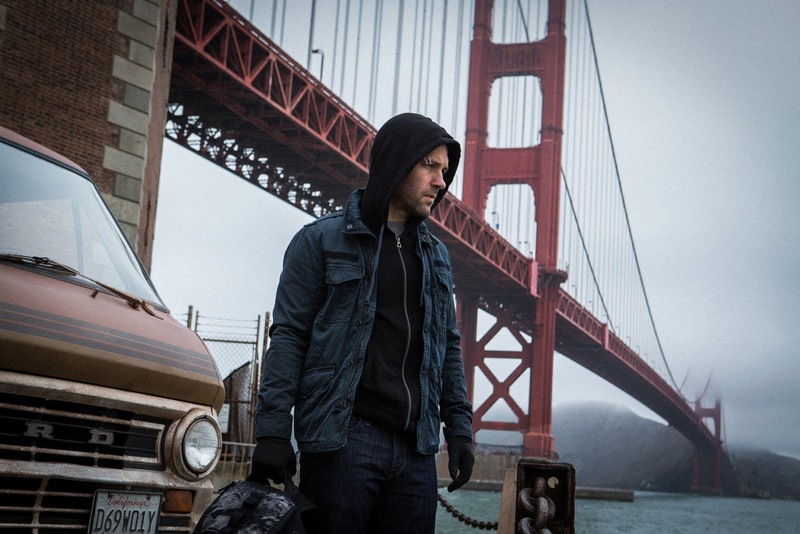 The human warmth of Paul Rudd makes Ant Man one of Marvel's most approachable heroes. 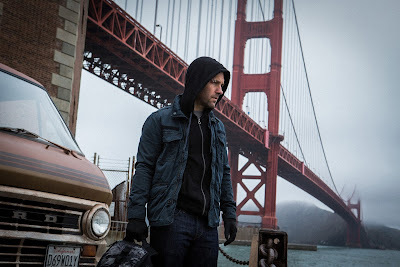 Paul Rudd's Scott Lang is probably the most relatable, human, approachable hero MCU has put in the big screen (not even Daredevil feels like this). He is just a guy that wants to be a better father, that has gone down the wrong path and is trying to become a law-abiding citizen again. And fails. So his story is not one of triumph and redemption, but one of getting up when you are knocked down. He is the average joe of the Avengers. That is not to say that he is dumb and Hank Pym does all the heavy lifting. No, Scott is a really smart man, with an advanced degree that happens to be also a superb burglar with an astonishing quick thinking abilities. Of all the MCU characters, he is the one that you can actually see and say: I can be like him. It is his unique combination of smarts and heart that makes him shine and all of that is thanks to Paul Rudd, a fine addition to the impresive star collection of the MCU. Watching struggling to do the right thing, fight against all odds and just trying to be the hero his daugther already thinks he is, with a mix of sel deprecating humor, willpower and smarts gives the character a tridimensionality not often seen in heist or action movies. I can't say more without entering into spoiler territory, so I will leave it here. Just be aware that Rudd's acting is a treat to any moviegoer. The rest of the cast is fine. Michael Douglas gives us a fierce, strong-willed and genius Hank Pym. In fact his portrayal is so good that I want to watch a prequel movie of his antics as the Ant-Man as the proto-avenger of the Cold War. I think his acting will do so much to redeem the character as RDJR did with Tony in Iron Man. Evangeline Lilly plays her character with a mix of anger and love and until the last second leaves you wondering if she is good or bad. Once she dons the Wasp suit, she will be a fine addition to the larger Avengers roster. The three stooges that form Scott's gang are a treat unto themselves and Michael Peña has no waste here. They are the perfect complement for Scott as they realize that they are actually the good guys and step up to the plate. Also, the little girl who play Cassie Lang is one of the best castings Feige has done lately and I toast for a successful Young Avengers film when she is all grown up. Paul Rudd with Michael Douglas - any chance of a Hank Pym prequel? The only two downsides of the movie were a very generic, non-memorable soundtrack and a lackluster villain. Corey Stoll is a good actor when he is not in The Strain, but his Darren Cross lacks pathos, emotion. He is just a bad copy of Obadiah Stane, sharing similar motifs and we barely get a glimpse of what makes him tick the way he does. He is a cypher that could have been easily replaced and not the threat we are told. But as I mentioned before, you won't watch this movie for him and he is in few scenes so it shouldn't be a distraction. But the lack of good villains is a trend that Marvel should be wary of. Loki can't be used everywhere. Also, be on the watch for the cameos of Haley Atwell's Peggy Carter, Howard Stark and the Falcon. And be sure to stay till the end since this film has two stinger scenes, one after the main credits and other at the very end. My final recommendation is to watch it if possible in 3D. This is probably the only MCU film that really justifies spending more for watching it in the format, as it really helps to enhance the experience. I will buy it in Blu-Ray so there is no higher praise from someone that doesn't even own a BD player. Now, stop reading this blog, go and see the movie and then come back to talk about it when we post a spoiler version of the review!